The much-awaited final season of Game of Thrones has started, and those who might not have started on this journey yet, might want to avoid any spoilers. Worry not. You can use Game of Spoils chrome extension to hide anything related to the show across Twitter, Facebook, Reddit, and Google News. Once you install the extension, it’ll hide any related content as shown in the screen grab below. 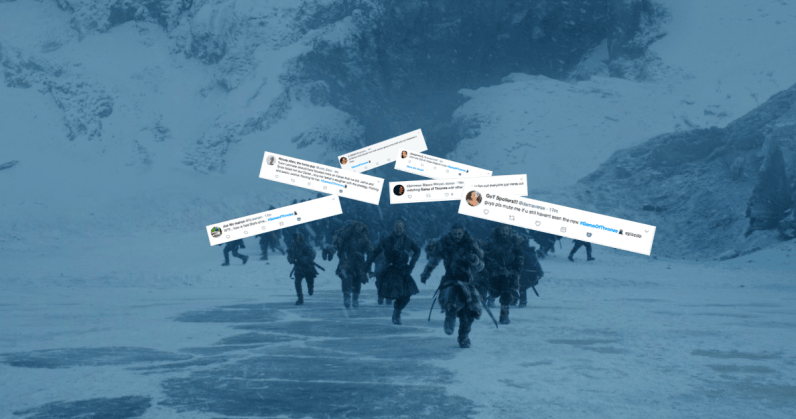 This tool takes words, names, and phrases from the show, like ‘Game of Thrones’, ‘Targaryen’, or ‘Winterfell’ into account by default – but you can also add new phrases to further prevent any spoilers from popping up on your screen. Update (15/04/2019): Added info about a Chrome extension that blocks Game of Thrones spoilers.